Over 4.7 million innocent people are bitten by a dog each year in the U.S. The majority of these victims are children. If you, or your child, are the victim of a dog bite in Rhode Island or Massachusetts, seek immediate medical treatment for your injuries and contact the dog bite lawyers at Tapalian Law. Our personal injury attorneys help those who suffer dog bite injuries in Rhode Island and Massachusetts, as well as people hurt in car accidents, slip and falls, and other types of personal injury. We will aggressively pursue action to hold the pet owner, or keeper, responsible for your injuries ranging from a minor puncture wound to a devastating mauling. After a dog attack, a dog bite attorney may seek compensation for damages related to the incident including medical bills, lost wages, scarring, pain and suffering, and potential future medical treatment and vital professional support. It is common for victims, especially children, to suffer from post-traumatic stress disorder (PTSD), after experiencing a traumatic and stressful dog attack. Are you, or a loved one, the victim of a harmful dog attack? Whether you are hurt by a dog owned by a friend, or an unfamiliar neighborhood dog, the dog bite lawyers at Tapalian Law want to help you. Our personal injury lawyers work on a contingency basis, which means we don’t get paid until you win your case. If you are injured and cannot come to us, we will visit you at your home or in the hospital to offer you a free consultation about how you can protect your legal rights after suffering a dog bite injury. The consultation is free, there is no obligation, and you don’t pay until you win. Contact a RI & MA Dog Bite Attorney today. Why Should You Hire a Rhode Island Personal Injury Attorney After a Dog Bite? Under Rhode Island law, dog owners are strictly liable (meaning they are deemed responsible without any showing of fault) for injuries their dog causes to others if those injuries did not occur on the dog owner’s property. For example, if a dog attacks or bites you on the street, sidewalk or in your own yard, the dog’s owner is responsible to you for your injuries and losses regardless of how careful the owner was in keeping the dog away from you. 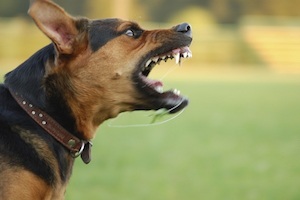 Even if you are attacked or bitten by a dog while on the dog owner’s property, the owner can be held responsible for your injuries if the owner knew or had reason to know of the dog’s vicious or aggressive tendency. This is commonly called the “one bite rule”. If a dog owner has been held liable previously for a dog bite, you may be entitled to double the amount of compensation. A skilled Rhode Island dog bite lawyer can help you recover compensation after an injury inflicted by an animal. Under Massachusetts law, a dog owner is strictly liable (meaning they are deemed responsible without any showing of fault) for injuries their dog causes to others regardless of where the injury occurred. The injury can be caused by a bite, mauling, or just being knocked down by the dog. The injured person, however, cannot have provoked the incident by teasing, tormenting or abusing the dog. Seek out the professional advice of a dog bite lawyer in Massachusetts after your injury to find out how to protect your legal rights. At Tapalian Law, our personal injury law firm has extensive contacts in the medical community to assist our clients in documenting the seriousness of the injuries resulting from a dog attack. Even the simplest claim can become complicated quickly. It is essential you act promptly after getting bitten by a dog by seeking medical help, documenting your injuries, and preserving any evidence. Personal injury claims have a statute of limitations in Rhode Island and Massachusetts, so rather than make a mistake that could hurt your chance at recovering compensation, put our experience to work for you. If you or a loved one are hurt, don’t delay contacting Personal Injury Attorney David Tapalian at 401-552-5000, or with our easy, online form. 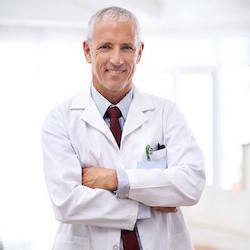 With offices in Providence, Rhode Island, and Seekonk, Massachusetts, our injury lawyers are ready to provide you a free, legal, consultation to let you know how we can help you.